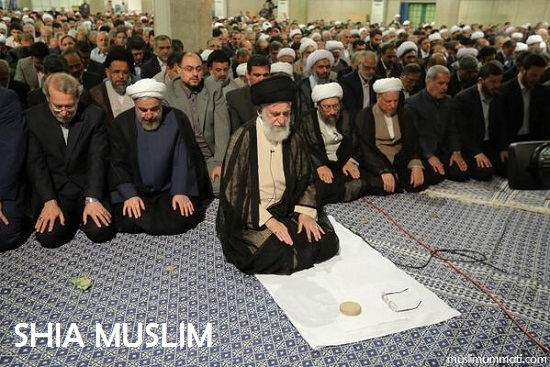 Today we are going to know about Shia Muslim, We see that the religion Islam is divided into many picees. People in islam should be a community but that is not happening cause they all muslims are not following the real islam. Let me show the whole details history of Shia Muslims in Islam. At first we need to see the relation among shia and sunni that they all belief together. Shia Muslim belief to ALLAH as Sunni Muslim do. Shia Muslim belief to Malakut as Sunni Muslim do. Shia Muslim belief to Prophet (sm) as Sunni Muslim do. Shia Muslim belief to AL QURAN as Sunni Muslim do. Here we see the major belief is same as they are two different unity in Islam. Then where is the main problem to be together. Let me show, Shia Muslim and Sunni Muslim is divided after the death of Prophet Muhammad (sm). Who would be the islamic leader ? some people were busy to dividing the power to take the position of leader, is not it ? then can you tell me why three days taken to take the prophet (sm) to bury in grave. The main problem between Shia and Sunni Muslim is leadership. When the earth started there was Adam (as) and Eve (as), do you belief that Adam (as) was Prophet ? is I belief that he was first man and first prophet. So just think the starting of the world there was a Prophet for whom ? for only a woman. Yes ALLAH started this world and sent leader to say them about ALLAH, when the child of Adam (as) and Eve (as) born then they learn about ALLAH from the prophet Adam (as). When Musah (as) went 40 days to meet ALLAH then he left his leadership to his cousin Harun (as) till he returned. If you read Quran then you will must learn that ALLAH says that no people of the world were leader less, so every nation every people were invited to belief ALLAH and to follow the right path. So we all know that PROPHET MUHAMMAD (SM) is the last prophet of the world and there will be no prophet after him, so can you think that after the death of Prophet Muhammad (sm) who will be the leader (not Prophet) of people, to run the path of Prophet (sm) and the path of ALLAH. IS PROPHET MUHAMMAD (SM) left the world without any Leader ??? Here is the main thinking Shia Muslim follow Hazrat ALI (as) the cousin of Prophet Muhammad (sm) as the leader of Muslim Ummah. Prophet Muhammad (sm) announced that ALLAH selected Hazrat Ali (as) as the next leader of Muslim Ummah, the location of announcement is called "Ghadir e Khum". Sunni people belief that there was no leader selected by Prophet (sm). Next Post is About Leadership of Islam.